A HAUNTINGLY BEAUTIFUL NOVEL FROM THE WINNER OF FOUR WORLD FANTASY AWARDS. On remote Rollrock Island, the sea-witch Misskaella discovers she can draw a girl from the heart of a seal. So, for a price, any man might buy himself a bride; an irresistibly enchanting sea- wife. But what cost will be borne by the people of Rollrock - the men, the women, the children - once Misskaella sets her heart on doing such a thing? Margo Lanagan weaves an extraordinary tale of desire and revenge, of loyalty, heartache and human weakness, and of the unforeseen consequences of all-consuming love. 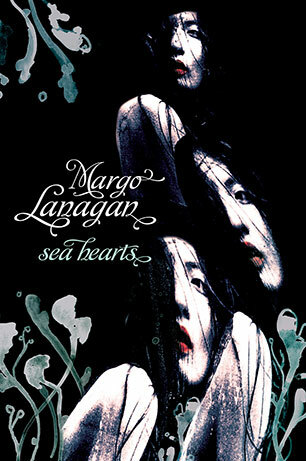 Margo Lanagan is an internationally acclaimed writer of novels and short stories. Her collections of short stories have garnered many awards, nominations and shortlistings. Black Juice was a Michael L. Printz Honor Book, won two World Fantasy Awards and the Victorian Premier's Award for Young Adult Fiction. Red Spikes won the CBCA Book of the Year: Older Readers, was a Publishers Weekly Best Book of the Year, a Horn Book Fanfare title, was shortlisted for the Commonwealth Writer's Prize and longlisted for the Frank O'Connor International Short Story Award. Her novel Tender Morsels won the World Fantasy Award for Best Novel and was a Michael L. Printz Honor Book for Excellence in Young Adult Literature. Margo lives in Sydney. She maintains a blog at www.amongamidwhile.blogspot.com and can be found on Twitter as @margolanagan.